After two failed marriages, is Britney Spears ready to take that step again? The buzz on the street this week is that it seems quite likely. 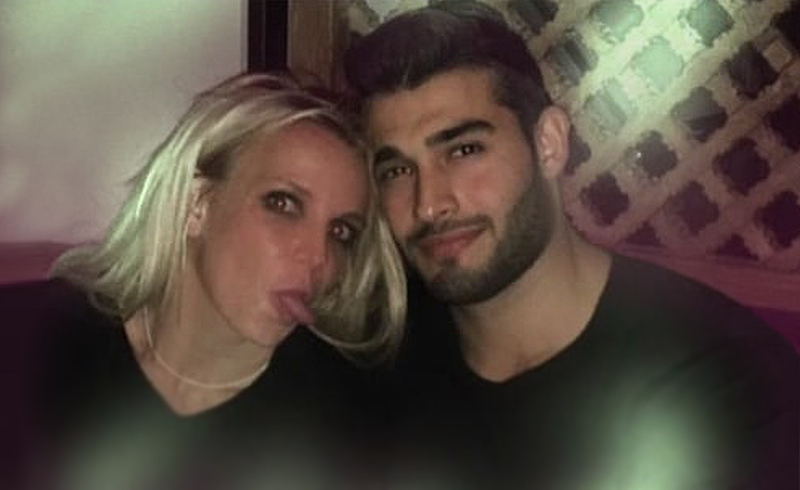 The “Oops I did it again “singer was seen out and about with Sam Asghari her co-star from the new “Slumber Party” music video. Britney has been divorced since 2007 when she finished with her second husband Kevin Federline. So perhaps it’s time for her to step out again and start loving and living. Britney is a prime example of how someone can turn their life around if they are given the time to do so. She has proven through her later career, that she is star quality all the way. Britney, I would love to think that this is it. No pressure, but I’m sure your fans would agree with me that you deserve happiness in your life. The media tend to run with stories because they see guy and girl together and apparently, they can never be just friends. You have spent your life bringing happiness to people across the globe with your music, so why not have a little happiness for yourself? Let’s deal the cards out and see what they say for Britney? Even if Sam is not the Man. The Britney we know today, is a lot stronger than the Britney of years ago, Finally, you have confronted your fears and managed to find a solution to them. I won’t go so far as to say you are over them, but you have made peace with a lot of demons from the past. Now is about the future, and the Britney you want to be is about to bloom. Does this involve romance? Why not? Let’s look at the other cards first. This speaks of a man in the same line of business as you. He is a strong man with a good heart. When he comes, he comes with every intention of staying the course. It’s quite possible that this is Sam Asghari. His physical energy would be that of a body builder or sportsman, but there is a business connection to you which brings the two of you into contact and the potential for things to work on an emotional level are very high. This card talks about changes around the home. There may be a new face in a familiar place. This card can mean structural changes or emotional changes, but in this case, it is a positive change. Are you bringing someone new into your family unit? With this card, there is every possibility that you could. You have fallen before and got up and walked, so you are no stranger to new beginnings. This has the potential to be something wonderful, but like all things it very much depends on your freewill. I sense between the two of you, there is a lot of fun to be had. For now, that’s about the right place to be. Experience has thought you to take things slowly, which is the right approach. You both have different approaches to certain things which will need to be ironed out. Will this be the romance people want it to be? I have a feeling that in the new year you will be saying “Baby one more time.” I feel good about this. Let’s wait until February for the confirmation. Previous ArticleLady Gaga reflects with great sadness, but why?Next ArticleKatie Holmes and Jamie Foxx still undercover?